Prometheus has been a project many people in the sci-fi community have been demanding for years now. They have been searching for answers for questions that were first brought up in the original Alien movie directed by Ridley Scott. Where did the Alien come from? Who or what is the giant creature in the chair on the space ship with the hole in its chest? The writers and Ridley Scott do their best to answer these questions while also posing a ton of new questions at the same time. Prometheus follows Elizabeth Shaw (Noomi Rapace), who is an archeologist looking for the beginnings of humankind and where we came from. She discovers a marker of sorts in paintings and writings of ancient civilizations that had no connection to each other but have the same drawings and symbols in their writings and artwork. She is then sponsored by the Weyland Corporation to find the true origins of man. Will this mission lead to the discovery of mankind’s true origins or will it lead to our extinction? Go see the movie to get the answers to these questions. That is pretty much all the plot I will give away because I don’t want to ruin the movie in any way for anyone. That is the worst indigestion I have ever seen. The acting in this movie from the three leads in simply fantastic. Michael Fassbender, Noomi Rapace, and Charlize Theron really bring their characters to life and flesh them out as to make them relatable characters for the audience. But it is Fassbender that ultimately steals the show as David, the resident android on the mission. He is an extremely nuanced character because he understands emotion but cannot process it and you see it kind of wear on him at points in the film. He tries to be more human by observing people and even movies just like some people do in real life. At times it is easier to identify with his character than any of the other characters in the film. This is probably why Fassbender is one of the best actors in Hollywood at this point in time. He just has the ability to grab the audience and command their attention, no matter what role he is playing. The special effects in the movie also must be commended because they are simply fantastic. The way the movie is shot is astounding, because even the most brutal of scenes has a beauty to it and that is a really special skill to have. Making something dark and disturbing seem slightly beautiful is a gift that only a few directors and cinematographers have. This also happens to be the first movie that I can say needs to be seen in 3D. In my honest opinion that is the only way to see this movie because it is not hokey 3D. Ridley Scott used the 3D to enhance depth on-screen and it really does add a life-like touch to the movie and adds to the immersion factor of the film. Still the best android in the series. The secondary characters in the movie are mostly hit or miss and there are a few that you can tell from the beginning are simply cannon fodder for later in the movie. At points you can see exactly where the movie is going before things happen on-screen. I have no idea where the casting department found the guy who plays Noomi Rapace’s love interest in the movie but they should have left him where they found him. I am not sure if it was the way his character was written or his actual acting ability but this guy was extremely annoying in either case. These are very minor things because the good far outweighs the bad in this movie. This is a fantastic sci-fi movie and taken as a standalone movie it may be considered to be a great one in time. When stacked up against the rest of the movies in the series it comes in third to Alien and Aliens. That is nothing to be ashamed of. Go to the nearest IMAX Theater and go with the 3D version, you will be blown away by the visual quality of the movie and you will also get a good story as well. Take a Drink: every time Fassbender stares at the screen blankly. Take a Shot: every time Charlize’s character seems to be the only rational one on the planet. Take a Shot: every time an alien goes inside someone (or comes out). A kid from New York that fell in love with the magic of movies. Fascinated by every facet of the movie industry. Really love B-quality horror movies and psychological thrillers. 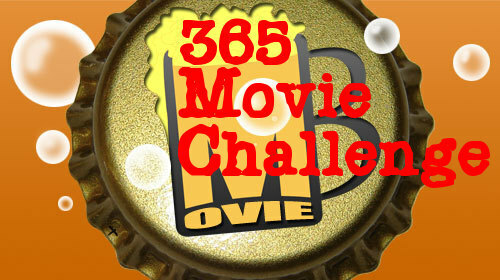 Movieboozer is a humor website and drinking games are intended for entertainment purposes only, please drink responsibly. I guess you must have been watching a different movie than I was because I thought it stunk. Dull and filled with too many tired movie clichés. I would not want to watch this worst of the Alien series again. What method of Alchemy did you employ to turn Alien Resurrection into a better film?